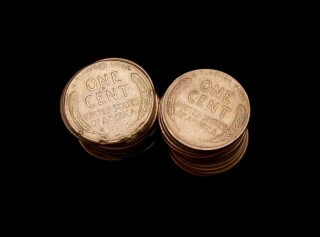 Lincoln pennies are one of the most popular collectible coins around, and they are also among the most valuable coins that can still be found in pocket change. The top 25 most valuable Lincoln pennies that were sold on eBay in August 2015 represent a wide range of the most desirable one-cent coins in terms of both date and condition. This list of the top 25 most expensive Lincoln pennies sold on eBay in July 2015 has a most unusual element – three of the top five Lincoln cents listed here are modern (post-1958) issues. Even more peculiar is the fact that the 1909-S VDB Lincoln cent doesn’t turn up until the seventh position, or the lowest spot that issue has ever first appeared on any of these monthly rundowns of Lincoln penny prices. The top 25 most valuable Lincoln cents that were sold on eBay in June 2015 include a litany of key dates, high-grading valuable pennies, and even a few scarce die varieties. Not surprisingly, the big winner for June sales was the 1909-S VDB penny, which not only was the first- and second-most expensive Lincoln pennies sold on eBay in June, but also, in fact, appears a total of 11 times on this list. Here at Coin Values, we look at the top 25 most valuable Lincoln cents selling on eBay each month. In the May 2015 eBay sales listings here, something most unusual has happened – a 1909-S VDB Lincoln cent doesn’t show up until eighth place, the lowest ranking yet on our Lincoln cent sales lists for that scarce and expensive coin! Lincoln cents are one of the most popular collector coins around, and some of the most valuable pennies in the series traded hands on eBay in April 2015. 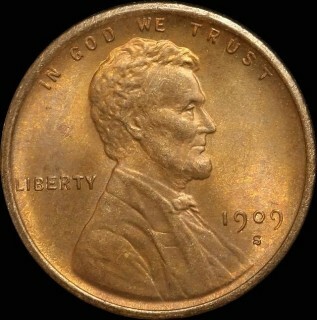 The 25 most expensive Lincoln cents that were sold on eBay include the usual key date suspects, including the 1909-S VDB, 1914-D, and 1955 doubled die Lincoln cents. Also among the list of the most valuable Lincoln cents to be sold on eBay in April 2015 are a number of high-grade common dates, pristine proofs, and other interesting pieces. There’s perhaps no more popular a U.S. collectible coin than the Lincoln cent. Given the action this series enjoyed on eBay in March 2015, there were plenty of people snapping up rare, semi-key, and desirable specimens for their coin collections and investment portfolios. What’s most interesting about the list of top 25 most valuable Lincoln cents sold on eBay in March 2015 is that four of the cents among the top 10 were made in the 1970s, 1980s, or 1990s. Three are scarce varieties and one of them is a Proof 70 (yes, you read that correctly) specimen. Whether you’re a coin collector or a coin investor, chances are you’ve got a favorite coin series. If I had to choose mine, I’d probably say it is the Lincoln cent, the very first series I ever started collecting. 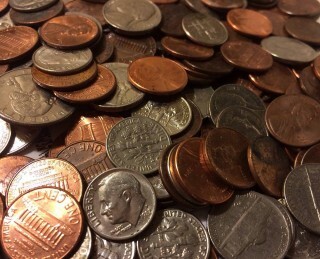 While Lincoln pennies are very popular with millions of coin collectors, they certainly aren’t the only series to stand before the numismatic spotlight. The top 25 most expensive Lincoln cents sold on eBay in February 2015 include a rather diverse array of offerings. In fact, the most expensive Lincoln penny that traded hands on the popular online auction website wasn’t any of the early key dates, like the 1909-S VDB Lincoln penny. 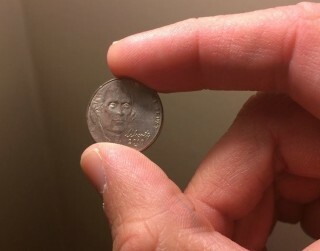 That rare cent doesn’t show up until the third-place coin for February 2015. The most expensive Lincoln pennies that were sold on eBay in January 2015 are definitely representative of the rare one-cent coins that most coin collectors go gaga over. Spoiler alert – a 1909-S VDB penny came in at the top spot. OK, maybe that isn’t such a surprise. What may be the real twist is the coin that comes in at #2. Hint... Let’s just say, modern coins aren’t all junk. A look at the Top 25 Lincoln cent sales on eBay in December 2014 reveal a few modern pieces managed to trade hands for Top 10 prices along with the usual gamut of key dates that usually dominate the top price rankings. In fact, the Top 10 portion of this list looks rather different than usual, with a non-1909-S VDB cent taking the top spot, two modern error varieties, and at least one high-end “common” wheat cent. I've been collecting coins since 1992, which is enough time to have learned more than a few things about the hobby I love. I was still a kid when I first ventured into coin collecting, which means I was at that prime age for touching the hot stove… and learning not to touch it again! 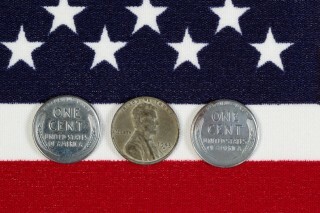 Lincoln cents are one of the most popular collectible American coins, and they always do big business on eBay. October 2014 was no exception, as dozens of rare, expensive Lincoln cents hit the popular online auction block. The usual suspects all were all among the Top 10 most expensive Lincoln cents sold on eBay in October, though surprisingly the 1922 no-D does not show up until the 12th spot. You will also see a few supreme-grade coins represented across the Top 25 and, of course, a heaping helping of 1909-S VDB Lincoln cents to round out this list. What are the most valuable Lincoln pennies according to eBay sales from September 2014? We’ve got the list here, and it includes many of the usual suspects you’d expect to find among a rundown of the most expensive Lincoln cents, along with a few rare, super-grade Lincoln cents from otherwise common years in the series.